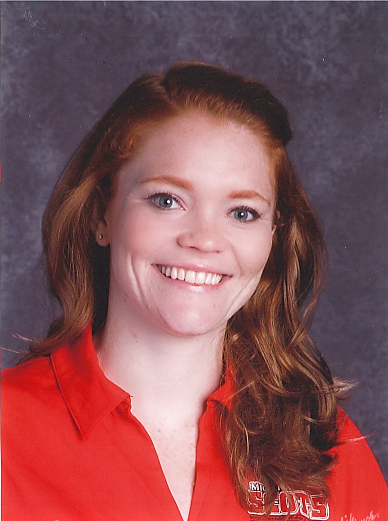 Kiera Busching began teaching Spanish at Harding High School in 2013 as a Teach For America corps members. During the summer of 2015, she participated in the Aspiring Leaders Program, a summer fellowship opportunity for classroom teachers to shadow district leaders and complete a change project. With the support of CMS and the Principal Pipeline Initiative, she received a Master's in Educational Leadership at Winthrop University. She currently serves as a Dean of Students at McClintock Middle School. She completed a summer internship with The Belk Foundation in 2018 with a focus on expanding the pool of teacher candidates and extending the reach of effective teachers. What have you recently learned from a student? One of our 8th graders had to show me how to adjust the volume for our morning news broadcast. I have officially become the person who needs a teenager to help them with technology. Kids come in to school with the world on their shoulders. My undergraduate experience at Kenyon College pushed me to think critically and creatively about the world. The people I met and the classes I took during those four years greatly shaped the person I have become and the work that I do. I've recently taken up yoga to help force myself to slow down and take time for myself. Some day I'd like to be able to hold side crow pose. Commitment to kids. I admire those who live their passion and dedication daily. Whether it's staying late to help a family or stepping in to cover a class, great leaders do whatever is best for kids. There need to be more people with recent and relevant educational experiences at the table when major policy and instructional changes are made. I have a soft spot for YA fantasy novels. Brandon Sanderson is my all-time favorite, but Patrick Rothfuss is a close second. I keep a box of letters and cards from people I care about. I have notes my father wrote me when I started kindergarten all the way through college. "Let us not grow weary of doing good." Stop trying to solve other people's problems and instead ask what they'd like me to do. Be prepared to invest your time, your energy, and your heart in your work every single day.